So uh, this is the longest time I ever spent on a single page. I mean, most of the time I wasn’t doing anything at all, thanks to carpal tunnel syndrome, but it still took the longest out of all of them. I blame perspective, also that cat, but mostly perspective. Updates will still be slow for a while, but hopefully not quite as slow, since I have to deal with aforementioned CTS. I would suggest subscribing to the rss feed, or the mail list, or something! 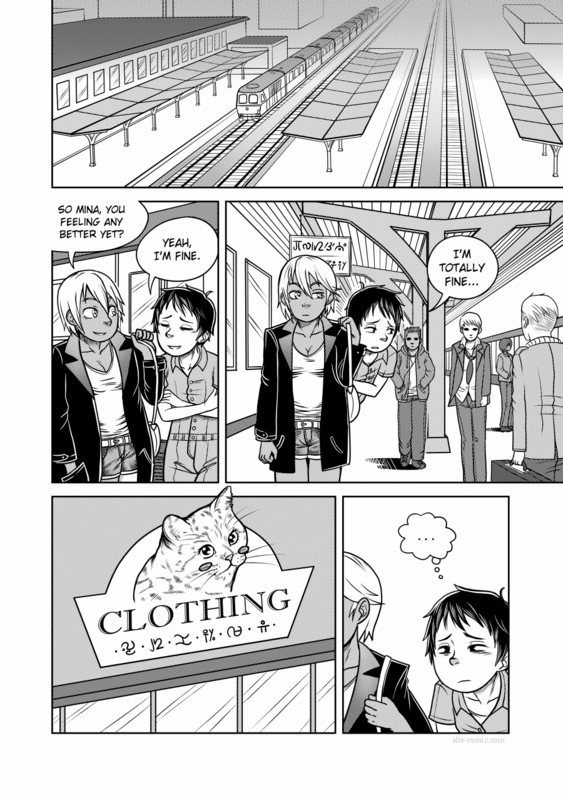 I really like this page, especially that cat. Take your time and take care of your hand. I hope you will get better with time.